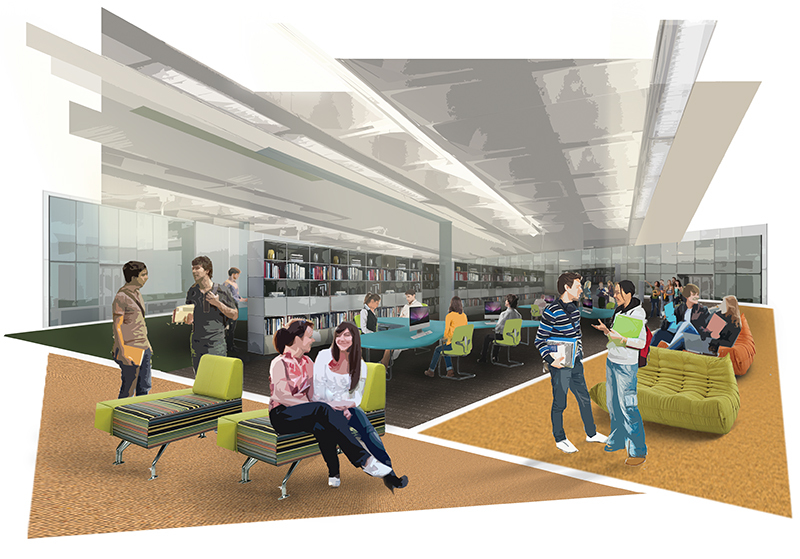 The exciting Library refurbishment draws ever closer! 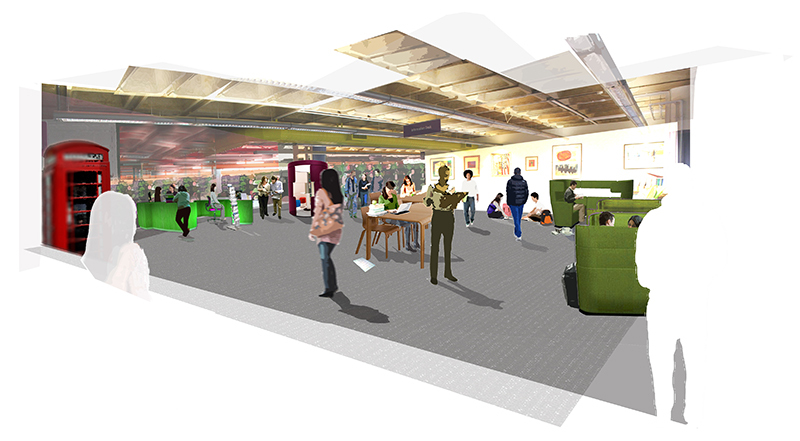 These latest visualisations are the work of students in the School of Architecture. While the images give the best impression yet of the feel of the new ground floor, the types and colours of the furniture chosen may differ from that shown. 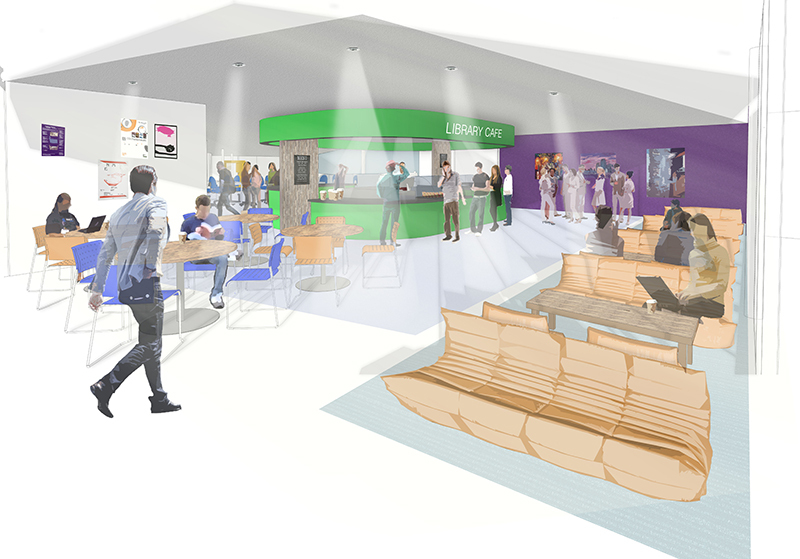 Flexible seating and working spaces with a central information desk on the ground floor offering both specialised Library and IT support, a novelty retro telephone booth, and flexible, varied seating. Natural sound baffling from shelving you helped us choose, flexible working spaces and furniture designed to encourage and enhance group study. A more spacious Library café where you can work, relax, and unwind.